Steve DeAngelo appears Oct. 3 at 4pm at Book Passage, 51 Tamal Vista Blvd., Corte Madera. 415.927.0960. 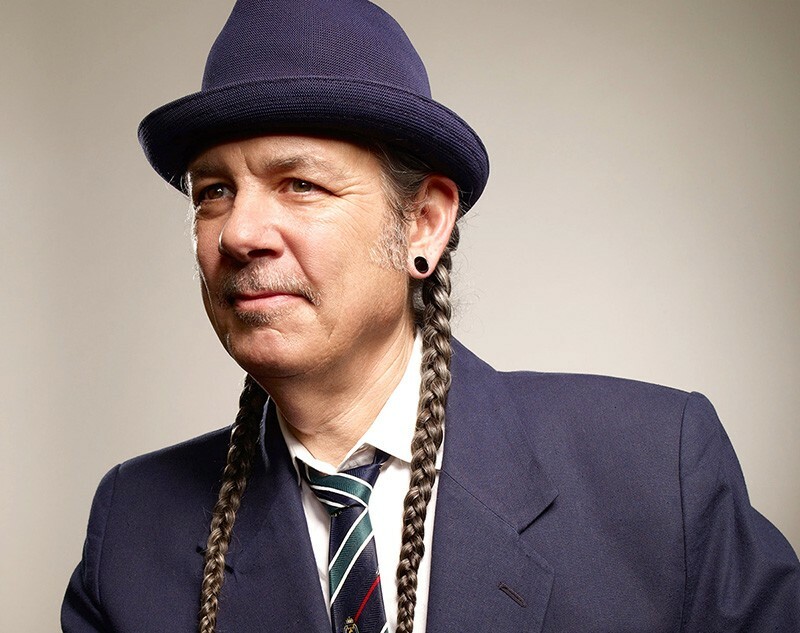 CANNABIS CRUSADER 'I encountered the cannabis plant as a teenager, and I immediately knew it was a good plant and that it was going to play a big role in my life,' says Steve DeAngelo. When cannabis activist and author Steve DeAngelo's name is spoken, it is usually accompanied by words like "pioneer," "visionary" and "national leader." With a wealth of knowledge and nearly four decades of advocacy under his belt, DeAngelo presents his case for marijuana reform in his new book, The Cannabis Manifesto: A New Paradigm for Wellness, published Sept. 22 by North Atlantic Books. "I encountered the cannabis plant as a teenager, and I immediately knew it was a good plant and that it was going to play a big role in my life," says DeAngelo. "But at the same time, I hated the idea of becoming a criminal and living even less free than I was already living." Born in Philadelphia and raised in Washington, D.C., DeAngelo began his activism on the streets and eventually worked on D.C.'s medical cannabis initiative, I-59, in 1998. Despite an overwhelming popular vote, Congress vetoed the initiative and DeAngelo set his sights west. When he landed in Oakland in 2000, DeAngelo found that there were two kinds of dispensaries working under California's medical cannabis initiative, the Compassionate Use Act, passed in 1996. The first were well-meaning but underfunded and unprofessional. The second were strictly for-profit businesses that turned dispensaries into what DeAngelo calls "scary and offensive." "I felt there was a need for a gold standard to demonstrate to the world that cannabis could be distributed in a way that brings benefits to communities instead of harm," says DeAngelo. In 2006, DeAngelo founded the Harborside Health Center, a landmark nonprofit dispensary in Oakland that is now the largest in the country. The center provides free holistic health clinics, laboratory-tested medicine, low-income care packages and a wide array of patient services. When writing the Manifesto, DeAngelo drew on his passion and a lifetime of knowledge. The work dispels many of the myths associated with cannabis. DeAngelo believes there is no such thing as recreational cannabis use. "You have a person who, in their own self-conception, is just getting high, but if they went to a medical doctor and told them what they were using cannabis for, they would be diagnosed with several medical conditions," says DeAngelo. He argues cannabis is more effective than pharmaceuticals and comes without harmful side effects. And he says he has the science to back it up. Yet science is not what is leading the way to legalization. "In California, we've had 20 years of medical cannabis. Almost everybody in this state knows at least somebody who has used medical cannabis and found it helpful, and that's what is really turning the tide—the personal, direct experiences that people have with this plant."